I understand that the conversation history will be stored on user's mailbox under conversation folder. But may I know if there is a central repository for us to get the IM log info on O365? I just guess there should be other place to store the IM log/history, e.g. if the user only enabled with Skype for business but not email, so how the user can get the IM log? 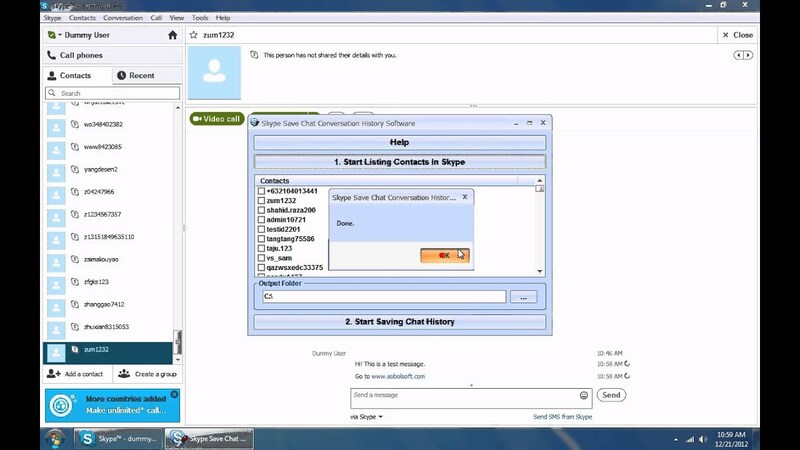 Step 4-Press �Clear Data� and �Clear Cache� catch and clear Skype talk history totally. On iPhone: Step 1-To expel entire visit history on iOS gadgets, dispatch the application and tap on �Later� to see all the call history, conversation, and talk logs.